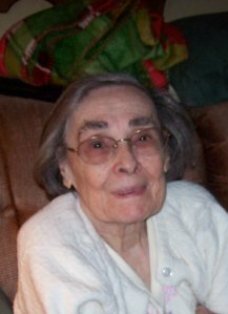 Rosalie (Wepryk) Chrapacz, 95, of Allentown, passed away surrounded by her loving family on March 1, 2019. She was the loving wife of the late Ivan Chrapacz. Born in Lukowe, Poland she was the daughter of the late Michal and Katarzyn (Malyk-Pelich) Wepryk. Before retiring, Rosalie worked as a sewing machine operator for over 25 years at Penn State Mills and other various sewing mills. She was devoted to her faith, Christian teachings and her church the Protection of the Blessed Virgin Mary Orthodox Church, Allentown. She was a proud volunteer for the church’s Pierogi Making Fundraiser. Rosalie loved life and everyone, especially babies and children. She was a kind hearted soul that didn’t have a bit of bitterness toward anyone. Rosalie enjoyed sewing, Ukrainian folk dancing, and making her famous Ukrainian pierogis and halupkies for family and friends. She will be sadly missed by her family. Survivors: daughter, Catherine Chrapacz and her husband Dr. Anthony Palmisano Jr.; son, Terry Chrapacz and his wife Kathy-Lilly Chrapacz; brother, Antoni Wepryk and his wife Stefania from Koszalin, West Pomerania, Poland. She was predeceased by her brother, Jaroslaw Wepryk and sisters, Maria (Wepryk) Geletkanyz, Olga (Wepryk) Iwanisik and Julia (Wepryk) Lukowska; all from Koszalin, West Pomerania, Poland. A viewing will be held Tuesday, March 5th 6-7:30PM with a Panachyda at 7:30PM in Kohut Funeral Home, Inc. 950 N Front St. Allentown, PA 18102. A viewing will be held Wednesday, March 6th 9:30-10AM with a Funeral Service to follow at 10AM all in Protection of BVM Orthodox Church 703 N 6th St. Allentown, PA 18102. Burial to follow in Garden of Peace Cemetery, Whitehall. Contributions can be made in Rosalie’s memory to the Protection of BVM Orthodox Church and can be sent to the funeral home for collection. Jacqueline C. (Jenkins) Camp, 84, of Allentown, passed away November 12, 2018. She was the loving wife of the late Edwin N. Camp. Born in Allentown, she was the daughter of the late Florence (Beck) and Russell Jenkins Jr. Jacqueline worked previously as a Mortgage Customer Service Representative for 1st Fidelity Bank. She was a member of Christ Evangelical Church in Allentown. Survivors: sons- Keith Ford and wife Margaret of Havertown, Kevin Ford and wife Debra of Havertown; step-sons- Matthew Camp of Vancouver, WA, David Camp of Allentown and Nelson Camp of Bethlehem; step-daughter- Priscilla of Bethlehem; brother- Russell Jenkins Jr. of the Villages, FL; 6 grandchildren and 2 great grandchildren. She was predeceased by her previous husband- Wilmer Brey. A viewing will be held Friday, November 16th 10-11AM with a Service to follow at 11AM in Kohut Funeral Home, Inc. 950 N. Front St. Allentown, PA 18102. Burial to follow at Garden of Peace Cemetery. Contributions can be made in Jacqueline’s memory to Christ Evangelical Church 2135 Tilghman St. Allentown, PA 18104. 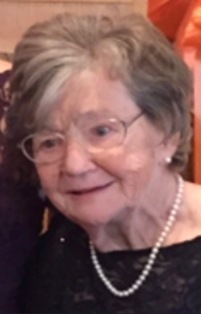 Elizabeth K. (Knotek) Chobot, 86, of Allentown, passed away August 15, 2015 in Holy Family Manor. She was the loving wife of the late August Chobot and devoted mother of Karen Sue Chobot. Born in Allentown, she was the daughter of the late John and Anna (Sisolak) Knotek. Elizabeth retired from Western Electric and was a lifelong member of St. John the Baptist Slovak Catholic Church. Survivors: She will be deeply missed by her loving family. She was predeceased by her siblings- Ferdinand, Paul, Anthony, Theresa Toczek, Anna Bracoli and Helen Popowicz. A calling time will be held on Thursday 10-10:30AM with Mass of Christian Burial to be celebrated at 10:30AM all in St. John the Baptist Slovak Catholic Church 924 N. Front St. Allentown 18102. Burial to follow in Woodlawn Memorial Park. Arrangements care of Kohut Funeral Home, Inc. Contributions and Masses can be made in Elizabeth’s memory to St. John the Baptist Catholic Church. Paul R. Campbell, 88, of Whitehall, passed away January 6, 2014 in Cedarbrook Nursing Home, Allentown. He was the husband of the late Wilma M. (Keiper) Campbell. He was the son of the late John and Florence (Merkle) Campbell. Paul retired from H. Leh & Co after over 40 years of service. He was predeceased by his brother Robert. A viewing will be held Saturday 9-10AM with a Service at 10AM all in Kohut Funeral Home, Inc. 950 N. Front St. Allentown, PA 18102. Burial to follow in Garden of Peace Cemetery. In lieu of flowers, donations can be made in Paul’s memory to the Center for Vision Loss 845 W Wyoming St. Allentown, PA 18103. William M. Candia, 73, of Allentown, passed away Sunday, July 14, 2013. Born in Allentown, he was the son of the late Mario and Mary (Schramek) Candia. William served in the U.S. Army during the Vietnam War. He was a member of St. John the Baptist Slovak Catholic Church where he served as a former lector. William was retired from Bethlehem Steel after 34 years of service. He was an avid animal lover. He was predeceased by sister- Elaine F. Stoudt. A viewing will be held Thursday 9-10AM in Kohut Funeral Home, Inc. 950 N. Front St. Allentown, PA 18102 with a Mass of Christian Burial to be celebrated at 10:30 AM in St. John the Baptist Slovak Catholic Church 924 N. Front St. Allentown 18102. Burial to follow in the parish cemetery. In lieu of flowers, donations can be made to St. John’s Church, The Sanctuary at Haafsville, or to Lehigh Valley Hospice care of the funeral home. Marie B. 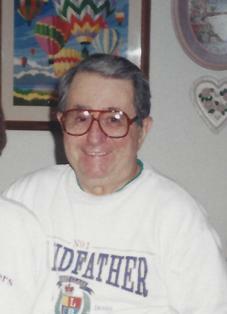 (Androsky) Cessna, 86, of Allentown, passed away Sunday, February 10, 2013. She was the loving wife of the late Lewis C. Cessna. Born in Glen Campbell, she was the daughter of the late Joseph and Anna Androsky. Marie was a member of St. John the Baptist Slovak Catholic Church. She was previously a volunteer at Hogar Crea. She was predeceased by her daughter Anna Cessna and 2 brothers and 5 sisters. A viewing will be held on Friday 9-10AM in Kohut Funeral Home, Inc. 950 N. Front St. Allentown 18102. Mass of Christian Burial to be celebrated at 10:30AM Friday in St. John the Baptist Slovak Catholic Church 924 N. Front St. Allentown 18102. Entombment to follow at Cedar Hill Memorial Park. In lieu of flowers, donations can be made in Marie’s memory to the American Heart Association. 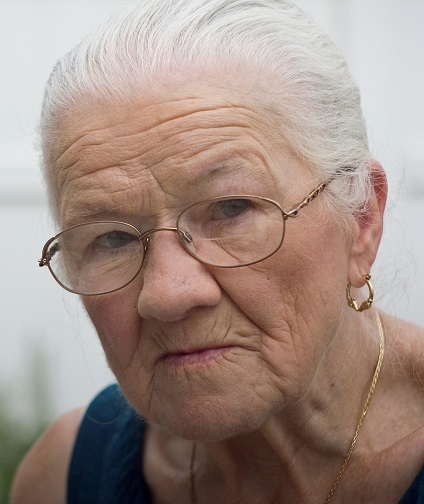 Arlene M. (Miller) Chankey, 90, of Allentown, passed away Thursday, January 31, 2013. She was the loving wife of the late Michael Chankey. Born in East Allen Twp, she was the daughter of the late Wralston and Irene (Hoffman) Miller. She worked as a sewing machine operator for over 40 years at Modern Clothing. She was a member of St. Mary’s Ukrainian Orthodox Church where she was involved in the Ladies Auxiliary. She was a officer and board member of the UKES Club. She coached the Jr. Bowling league at the UKES Club for many years with her husband. She was known for her gardening, baking, catering and cooking including halupki, pierogies and kiffles. She was predeceased by brothers- Vincent and Elias Miller and sisters- Alverta Brunner, Margaret Green, Joyce Miller and Verna Schmidt. A viewing will be held on Tuesday 8:30-10AM with a Service at 10AM all in Kohut Funeral Home, Inc. 950 N. Front St. Allentown 18102. Burial to follow in St. Marys Cemetery. In lieu of flowers, donations can be made in Arlene’s memory to Lehigh Valley Hospice or to Lehigh County Humane Society c/o the funeral home. 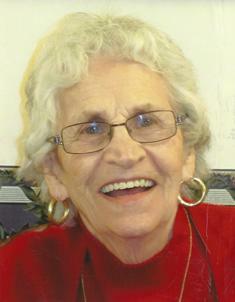 Maria (Stecyna) Chorwat, 88, of Allentown, passed away Monday, October 29, 2012. She was born in Hlyna, Ukraine and was the loving wife to the late Dmytro Chorwat. Maria retired from Modern Clothing after many years of service. She was a member of St. Josaphats Ukrainian Catholic Church. Maria loved to garden and to take care of her flowers. Survivors: Sons, Jaroslaw and wife Marika of Allentown, Bohdan of Allentown; grandson, Luka. She was predeceased by brothers and sisters. Services: A viewing will be held on Friday, 6 to 8 p.m., with Parastas at 7 p.m., and then Saturday, a viewing 8:45 to 9:15 a.m., with Panachyda at 9:15 a.m., all in Kohut Funeral Home, Inc., 950 N. Front St., Allentown 18102. Office of Christian Burial to be celebrated Saturday at 10 a.m. in St. Josaphats Ukrainian Catholic Church, 1826 Kenmore Ave., Bethlehem 18018. Burial to follow in St. John the Baptist Ukrainian Catholic Cemetery, Northampton.